Small fancy combined pagoda tent group for outdoor party events with long life span aluminum structure. Pagoda tent can create an ideal solution for outdoor party events for its flexibility on size. It can be used single or joined together into big tent to enlarge the space but with elegant appearance. 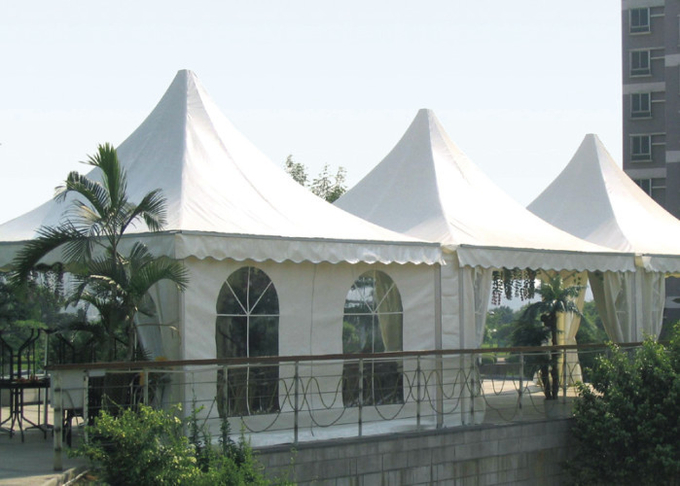 The pagoda tents are with aluminum structure, white pvc roof and walls with windows on the walls. 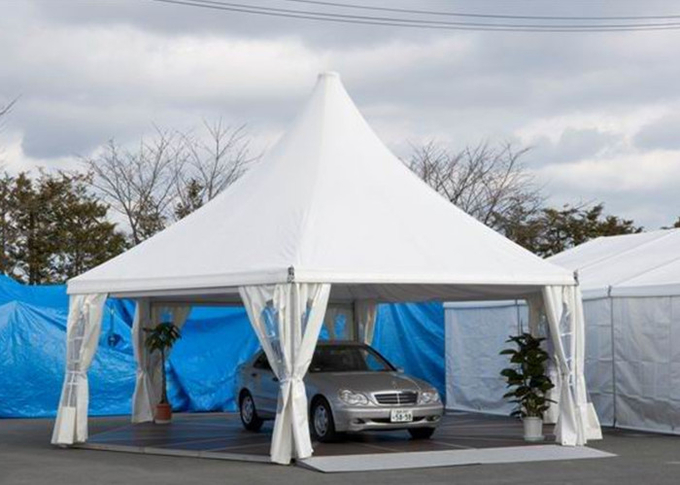 Usually it can be used in the front of big marquee tent as reception room or connect several small pagoda tents together to form a large group to meet different request on size and occasions. 6. The tent can be used single or several tents used together to form a pagoda tent group to meet different requests on space. 7. It can be decorated in different ways.